Home / Search engine optimization (SEO) / Does Keywords Still Matter in 2016? Does Keywords Still Matter in 2016? Eric of My4hourworkweek.com did this successfully and documented how he did it back in 2011, and several other microsite entrepreneurs have written posts on the same process. Barring luck and perfect timing, you needed 30 sites to get about $1,000 a month. Since microsites were really easy to set up using WordPress, this was a guaranteed way to print money for those who understood SEO. But then the Google Panda update in 2011 changed everything. The microsite millionaire method of making money was guillotined, and no matter what SEO marketers tell you, SEO is not as important as it used to be. Today, SEO’s role is greatly diminished, but it still matters—understanding how SEO works today will still give you an upper hand. 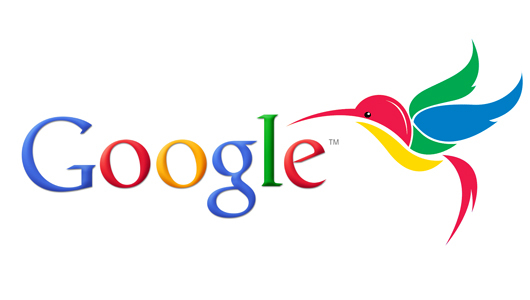 Google has continued to roll out new updates to its search (like Google Hummingbird in 2013) that make SEO keyword gaming less and less relevant because Google is increasingly doing the SEO for you. Their search has become so sophisticated that it can decipher the meaning behind your words and behind the questions your customers might type into its search bar. It uses that intel to automatically make you show up for queries that may not involve your site keywords at all. But not only should you understand how SEO has changed, you should also recognize the danger in continuing to implement outdated SEO tactics that no longer work the way they did a few years ago. These techniques are really just a waste of your time and your money. PageRank isn’t dead—but it went from being the top determinant for your ranking to one of over 200 metrics used by Hummingbird to determine your ranking. Now there are tons of metrics that, taken together, help Google determine your page authority. They weigh inbound links, outbound links, social media shares, content quality, site design, ease of use, etc. All of these metrics are really just measuring your worthiness as a thought leader. If you’re up to snuff, so to speak. And SEO matters insofar as other authorities will have search engine optimized pages. If you don’t, you’re already behind in the race. So it’s important to know that SEO does still matter—to a degree. For example, it’s still very important that your longtail keyword shows up in your page title, URL, subheaders, image descriptions, meta descriptions, etc. In other words, keyword placement is still important. But frequency is not. You definitely don’t need to repeat a keyword at least 7 times in the body copy anymore. This is a ploy that no longer works. And as any writer will tell you, it often makes the writing worse and less enjoyable to read. We’ve heard the terms “long tail” and “short tail” keyword since 2004, when Chris Anderson coined them in a Wired article. And we all know that long tail keywords—keyword phrases longer than three words—are better than short tail keywords because they target more specific search queries and help target your niche better. Except, how true is that really after Hummingbird? Today, Google uses something called semantic search to tease out the meaning behind your words. Let’s say that you have a great website site for your organic, fair trade cafe in Williamsburg. Let’s also presume that you never use the words “affordable coffee” in your content (because you don’t want people to feel like your offerings are cheap). Except your coffee is affordable—in fact, given your expenses, you could charge a lot more. And you do list your prices, so you hope customers can figure it out on their own. Assuming you have decent monthly views, if a potential visitor were to type “organic, cheap coffee in Williamsburg”, your site would likely pop up in the top search results. Google would be able to determine on its own that your cafe also fits the “cheap” qualifier, and that potential visitor would probably be browsing your site in a few seconds flat. It’s safe to say that keywords won’t disappear anytime soon. But make no mistake—things aren’t looking great for traditional SEO marketers. In all likelihood SEO marketing as we know it will eventually disappear. In fact, given Google’s dislike of any sort of search engine gaming, it’s entirely possible that one day semantic search will be so powerful that you can be SEO ignorant and keyword insensitive and still rank high for your target search queries based entirely on other measures of page authority. That day is not tomorrow, and it’s probably not even 2020. But marketers who have been keyword-dependent in the past should start learning as much as they can about other methods of improving SEO. I am a multi skilled Software Engineer with over 4 year’s industry experience in designing and developing Object oriented solutions in Multi layered & N-Tired. I have substantial success to my credit. I have consistently handled complex problems to the satisfaction of my clients by working in stressful situations. I enjoy learning and applying new technologies in a dynamic and forward thinking professional environment. I’d must talk with you here. Which is not a thing I usually do! think. Furthermore, thanks for allowing me to comment!